Employee wellness continues to expand and change in the workplace as organizations use wellness programs to combat rising health care costs and support the development of healthy lifestyles in their workforce. Here's an overview of the state of employee wellness, and specifically 4 important wellness trends you need to know including an analysis of employer programs and practices, incentives, return on investment and drivers of effectiveness, and new things employers are doing in the area of wellness. Health and wellness program offerings are expanding in the workplace, according to a few local and national surveys. The Society for Human Resource Management’s (SHRM) 2013 Employee Benefits Survey shows that when compared to 2009, more employers are offering health and lifestyle coaching and onsite fitness classes. In addition, the most common wellness options in which more than half of respondents offered were wellness resources and information, wellness programs, onsite seasonal flu vaccines, wellness publications, a 24-hour nurse line, and health screening programs. In addition, another national study of wellness practices conducted by RAND Corporation in 2013 reports that about half of employers with 50 or more employees offer wellness initiatives, and larger employers are more likely to have wellness programs. Over three-quarters of employers with wellness programs offer lifestyle management activities and on-site vaccinations, and slightly over half of employers offer disease management activities and fitness benefits. Slightly under half of employers offer a nurse line and fewer offer healthy foods. Among lifestyle management programs, around three-quarters of employers focus mostly on nutrition/weight, smoking, and fitness, and slightly over half focus on alcohol/drug abuse and stress management. Research appears to show that more employers are offering wellness incentives. In Northeast Ohio, according to ERC's Wellness Practices Survey, 46% of employers offer participatory wellness incentives and 21% offer outcomes-based wellness incentives. SHRM's 2013 Employee Benefits Survey also shows that when compared to 2009, more employers are offering health care premium discounts for participating in an annual health risk assessment or a wellness program and rewards/bonuses for completing certain health and wellness programs. The most notable increase from 2009 was offering rewards or bonuses for completing certain health and wellness programs. Similarly, RAND's survey reports that of employers who offer wellness programs, over two-thirds use financial incentives to encourage participation. Specifically, incentives for completing health risk assessments and lifestyle management programs were the most common, offered by around 30% of employers. Incentives for clinical screenings were slightly less common, offered by 20% of employers. The most common types of incentives were merchandise/gift cards, gym discounts, health plan premiums, and cash; and the widespread majority of employers frame incentives as rewards versus penalties. Aon Hewitt's wellness incentive research also echoes these trends. Similarly, Buck Consultants found that wellness incentives correlate to participation levels in wellness programs, especially for immediate programs like health assessments and biometric screenings. But, initiatives requiring long-term lifestyle changes were not as significantly affected by incentives. Research is continuing to find that wellness programs improve health and lower costs (Source: Health Affairs). Likewise, according to research on wellness conducted earlier in 2013 by Buck Consultants, 30% of employers that measured health promotion outcomes increased their emphasis on wellness programs compared to 21% of organizations that do not measure outcomes. Among the top issues driving wellness program design are physical activity and stress. In addition, the report shows that of the 23% of employers who indicated that their wellness programs reduced the cost of providing benefits to employees, 62% reported health cost rate reductions of 2% or more and 13% reported reductions of 6% or more. The report, however, also indicates that results such as these can take years to realize. Meanwhile, a report published by the Health Enhancement Research Organization and Mercer in early 2013 found that promoting wellness activities under a single brand name, having a formal strategic plan for the wellness initiative, active participation by senior leaders in wellness programs, and allowing staff to participate in programs had a significant effect on wellness program effectiveness and outcomes. Tony Barisono, Vice President of ERC Health, further alludes to the importance of participation in wellness programs on health care costs and says he's seen a correlation between groups that participate in wellness programs and cost savings. He adds, "The higher level of employees participating in the wellness activities, the better return on the overall cost for their health insurance program." Locally, however, most employers (76%) are still unsure of their wellness program's effectiveness - specifically how their wellness program has reduced their organization's health care costs. Similarly, only 25% say they track the impact their wellness program has on their health insurance costs. In addition to expanding wellness incentives, what's next for wellness programs, and what are employers of choice doing to enhance wellness in their organizations? According to the Great Place to Work Institute, forward-thinking employers are taking wellness to the next level and blending new ways of enhancing well-being into their wellness initiatives, including flexibility, work/life balance, and holistic approaches. They are also including spouses/domestic partners in their programs, consistent with the findings of Mercer's study. 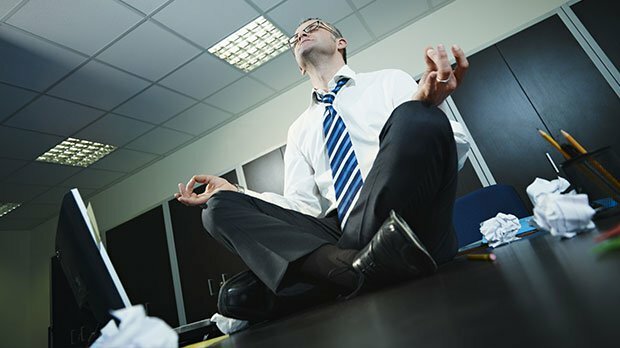 ERC has seen similar results in its analysis of wellness trends among some forward-thinking employers through the NorthCoast 99 program, with gradual increased emphasis on holistic and integrative wellness initiatives that aid employees' physical, social, mental/emotional, and even spiritual well-being (such as massage, yoga, Reiki, guided imagery/mindfulness training, etc.). Employers are realizing that wellness done right requires an integrated approach that addresses multiple aspects of well-being. Other new trends affecting wellness include technology, particularly mobile, which will provide new ways for employees to engage with health education and wellness content/applications. In addition, wellness-enhancing workspaces (i.e. treadmill desks, etc.) are slowly gaining ground. All in all, employers should expect that wellness in the workplace is here to stay and will expand in the future.